Can you believe it?! Christmas is just 3 weeks away! 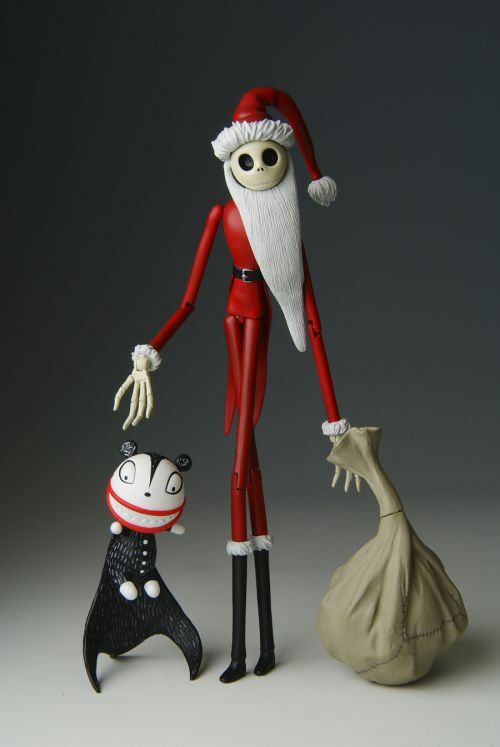 So here to celebrate is The Nightmare Before Christmas's most beloved Jack Skellington fully dressed in a Santa suit along with Vampire Teddy! Jack and Vampire Teddy are both masterfully sculpted and beautifully hand-painted down to the smallest details. The display possibilities are virtually endless as Jack is fully posable with multiple points of articulation from his arms to his hips. Best of all, this Jun Planning piece is sold individually!